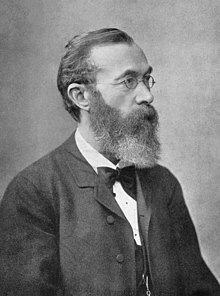 Wilhelm Maximilian Wundt (16 August 1832 – 31 August 1920) was a German physician, physiologist, philosopher, and professor, known today as one of the founding figures of modern psychology. Wilhelm Wundt. Principles of Physiological Psychology Translated by Edward B. Titchener 1904. Republished 1969. The results of ethnic psychology constitute... our chief source of information regarding the general psychology of the complex mental processes. An Introduction to Psychology, 1912; 1924. We call that psychical process, which is operative in the clear perception of a narrow region of the content of consciousness, attention. The whole task of psychology can therefore be summed up in these two problems : (1) What are the elements of consciousness ? (2) What combinations do these elements undergo and what laws govern these combinations ? If we take an unprejudiced view of the processes of consciousness, free from all the so-called association rules and theories, we see at once that an idea is no more an even relatively constant thing than is a feeling or emotion or volitional process. There exist only changing and transient ideational processes ; there are no permanent ideas that return again and disappear again. Brian Vickery (1958) Classification and indexing in science. p. 154.